For several years each February, The Armchair Genealogist has hosted the Family History Writing Challenge. Designed to help family historians turn dry facts into interesting family stories, the 28 day challenge offers helpful advice, encouraging words, and motivational tips throughout the month. I have participated every year, faithfully writing on my laptop. But the stories have never seen the light of day, instead residing on my hard drive. So this year I am putting the words out there - right here, to be exact. My story will not, however, be about one of my ancestors. 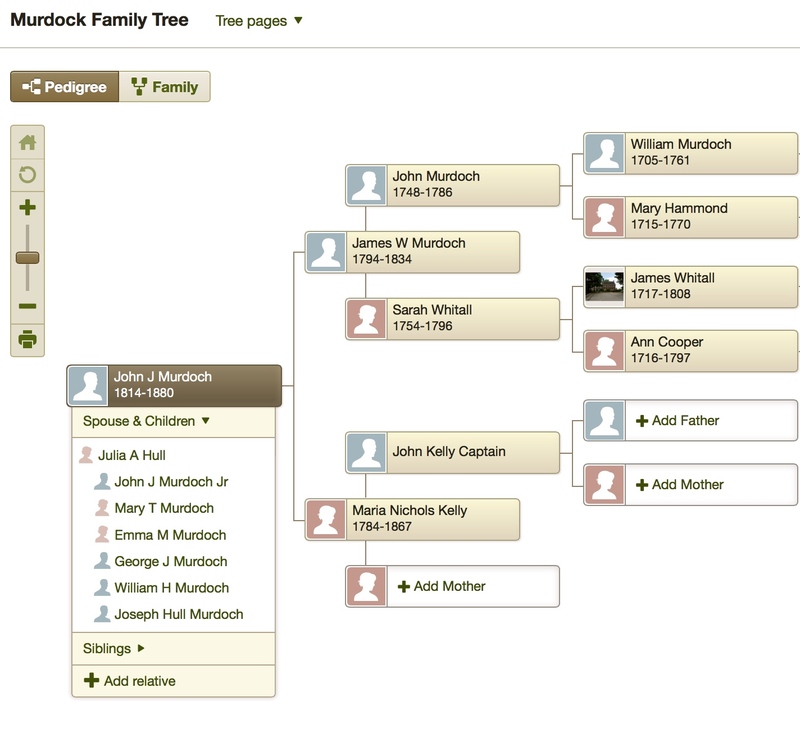 John J. Murdoch (or Murdock, in some instances) is not related to me, though his family tree is right beside my own in the genealogy software that I use. 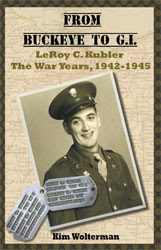 And while I am not a descendant of his, I have many more pieces of documentation about his life and death than I do on my own family members. 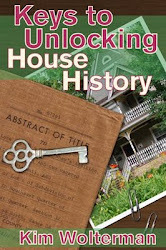 Readers of my blogs will recognize John Murdoch as the man who once owned a large farm in St. Louis County (Missouri), which was later sold and developed into the town of Shrewsbury. It was while researching the history of a building that we own in Shrewsbury that I first became interested in the man who still has a street named for him more than 130 years after his death. Several resources, including the official website for the City of Shrewsbury, refer to John Murdoch as a General in the Civil War. Through my research and interviews with local Civil War experts, I have found nothing to indicate that he served in any military capacity much less as a General. Nevertheless, he had a fascinating life. I don't know for certain if Murdoch was a rags to riches to rags story, but he certainly went from riches to rags. And that is the story I will be telling over the next 28 days. And say to all the world. This was a man." In 1838, Missouri had only been a state for seventeen years. With its location on the Mississippi River, the City of St. Louis became the land of opportunity for industrious immigrants hoping to help outfit the more adventuresome types who were heading out west to seek their fortunes. In the decade between 1830 and 1840, the St. Louis population grew from 1,694 to 16,649. One of the new arrivals was John Murdoch. Murdoch made his way from New Jersey near Philadelphia where he was born in 1814, perhaps traveling from Philadelphia to Pittsburgh on the river canal system, which opened in 1834. From Pittsburgh it was possible to travel by steamboat to St. Louis. If all went well, the trip from Pittsburgh would have taken a minimum of ten days. Many of those coming to St. Louis from the East Coast had financial backers from the northeast, and Murdoch was no exception. Business life in St. Louis was centered at this time along Main (or First Street) between Walnut Street and Washington Avenue. In fact, the Merchant's Exchange was in this area on Main Street. Murdoch established Murdoch & Co. at 53 N. First as early as 1840. As an auctioneer and commission merchant, the proximity to the Mississippi River was perfect. In 1839 more than 2,000 steamboats arrived in St. Louis, bringing passengers and freight both into and out of the city. Murdoch's business was engaged in buying and selling goods and products for others on a commission basis, so being located near the river in a town that was the last stopping point for travelers purchasing supplies and gear before continuing on their westward journey would prove to be a fortuitous move for him. At least for awhile. I am speechless! In all the years I have been researching John Murdoch, I have not come across anyone in his family tree. So nice to hear from you. I love that this all started not from an ancestor, but from a building, and you just got hooked in on researching the story! Hoping you have lots of 'episodes' to come.... Beautifully done. Thank you, Linda. I feel like he is family after all these years of research. Really interesting stuff Kim. St. Louis is full of it. The same happens always to me by researching my Uthoff emigrant’s from Germany. I come across that name so often in my research in the US (just last weeks the wrong Uthoff from Iowa again) but only a few are my family. By trying to find the right lines of my people, I find so much stuff about the others families. I could right a book about them “Uthoff’s which I don’t wanted to find”. Sometimes I think they are like Schmidt or Meier. That doesn’t even stop at the special collection, when you think you are save. Ask Michael of the stuff there. I could tell him the hometown of his emigrant, gave him copies of the emigrant files of his guy, churchbooks copies from Germany plus more. Such “mess” can happen when you try to find your own family. I am really glad that I am not the only one who is always so “unlucky”. It is great to help other people this way, but I also would love it to find some of my hiding guys. You are so right, Matthias! Even when you have an unusual name you can still find out you have been researching the wrong family. Love the title of your proposed book - go for it! At least for a while.... is that ominous, or what?